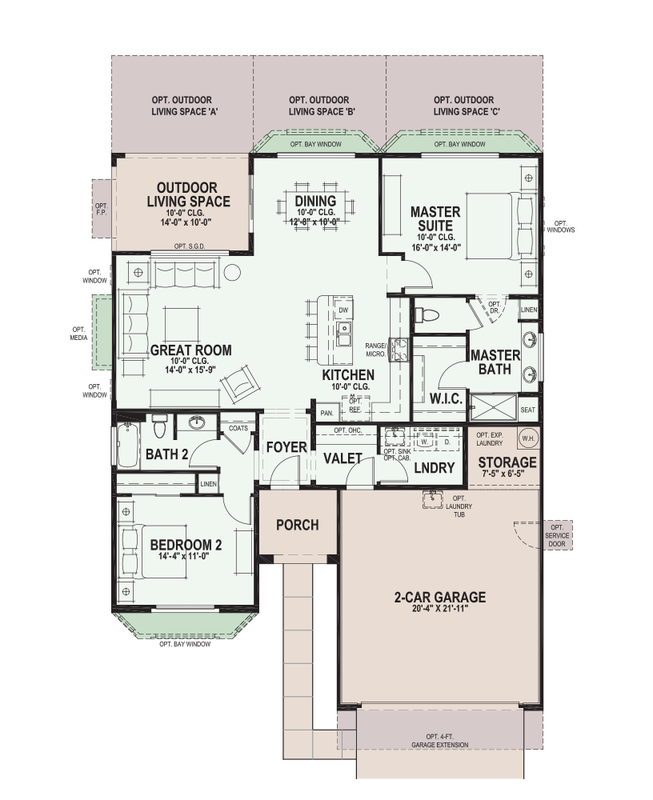 The SaddleBrooke Ranch Hermosa Floor Plan is one of 10 available floor plans. The Hermosa Floor Plan is in the Tradition Series of Homes at SaddleBrooke Ranch and the smallest of all floor plans with 1,513 Sq. Ft.
For the couple that wants to downsize for their retirement home or considering a winter retreat, the SaddleBrooke Ranch Hermosa Floor Plan may be for you.